THE PNG Accident Investigation Commission is investigating a helicopter crash at Kiunga Airport in Western on Wednesday, chief executive officer David Inau says. He said a team of investigators was sent to Kiunga yesterday. He said the helicopter was leaving for a Digicel tower site with a sling load which forced it back to the ground. Inau said information on the incident at Kiunga Airport was received shortly after 3.45pm on Wednesday. He said the Bell-407 helicopter, with the registration P2-HSE, was operated by Niugini Helicopters. It was chartered by Digicel to ferry passengers, equipment and drums of fuel. “Initial information indicates that the flight was carrying at least one passenger, possibly two, and was connected by a long line to a net containing drums,” he said. 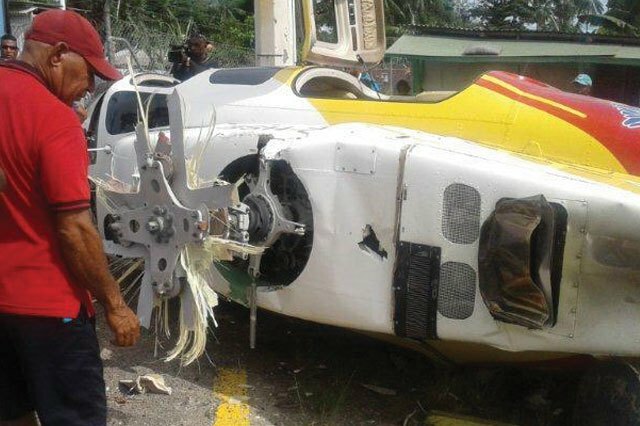 Inau said there was one pilot who was believed to have been injured.